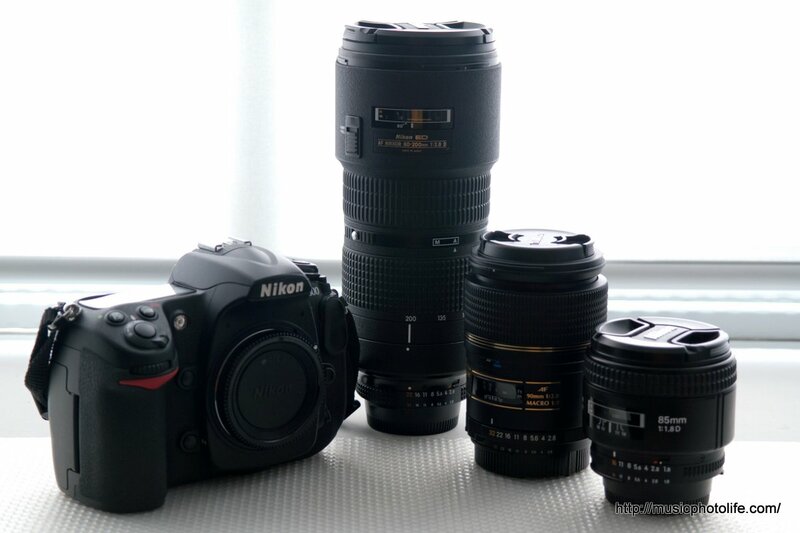 I can’t remember the last time I bought a Nikon-mount lens, but last week I just bought one. It’s a lens that photographers who needed one would have already bought one. Yes, it’s the Nikkor 85mm f1.8D lens. So why did I suddenly decide to get it? As silly as it may sound, I bought it because I read a tweet that the new Nikkor 85mm f1.8 G lens is on sale, which naturally means the older version would be made available at a reduced price. Plus, I have been shooting quite a lot of portraiture and telephoto focal lengths like 85mm brings out the better perspectives. The Tamron 90mm focuses way too slow and the Nikkor 80-200mm weighs far too much to bring out for a shoot. I’m not considering the f1.4 version because it costs 5 times more but only half a stop brighter. Now that I have a few lenses at the 80/85/90mm range, I decided to do a few non-scientific test shots to compare the quality of my lenses, and to see if my purchase is justified. First, let’s check out the depth of field. There are subtle differences, but a large aperture offers a more pleasing isolation of details that portrait photography requires. 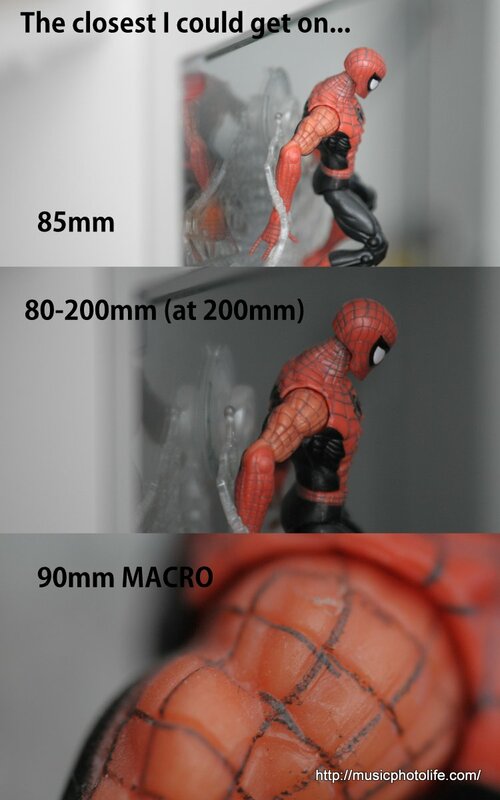 Next, I compared the same aperture of the 85mm against the larger 80-200mm. 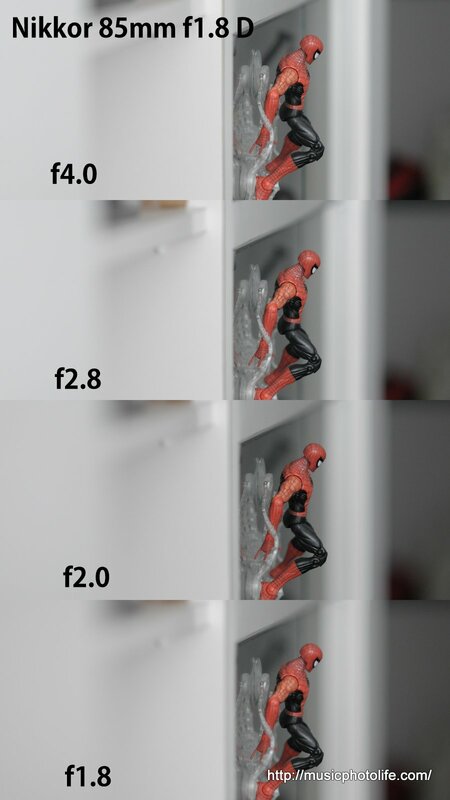 There are visibly little differences on the depth of field. But on hindsight, I have been using this long and heavy lens for many of my portraiture works. If I had the 85mm, I could have attained larger aperture, higher shutter speeds, in a lighter package. Finally, a test for flare and chromatic aberration when shot against bright light. I threw in the Tamron lens for a comparison too. Not surprising, the 80-200mm results in greater lens haze, certainly due to higher number of lens elements. 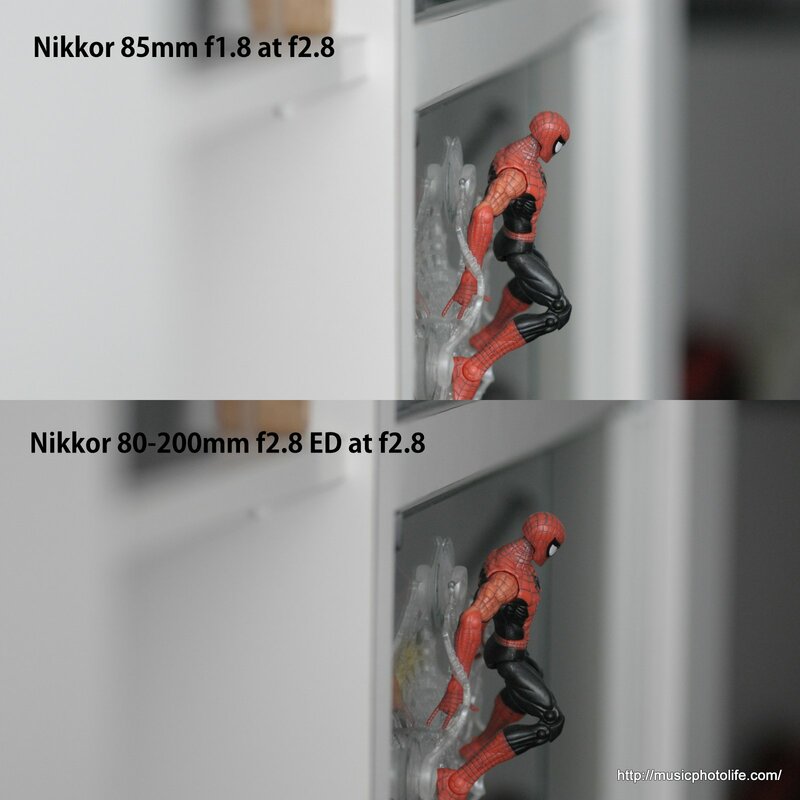 The red/cyan CA behaviour appears to be consistent for both Nikkor lenses. The Tamron lens however had blue/yellow fringing. 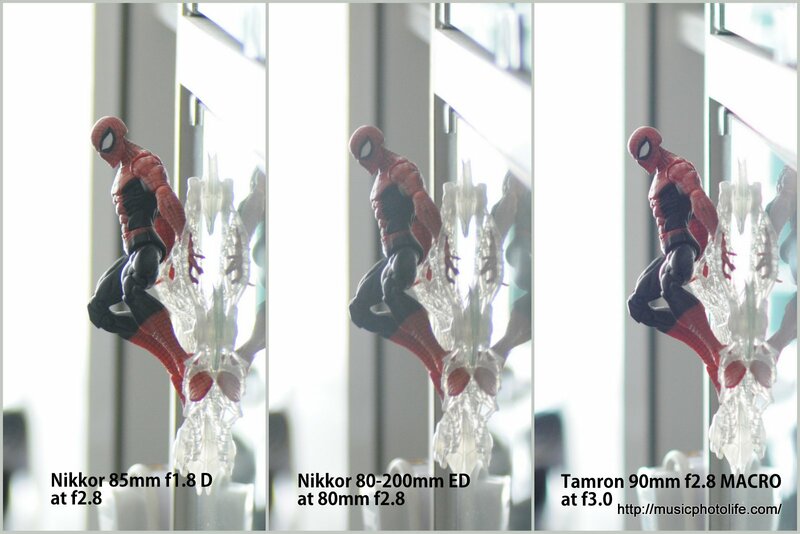 I also noticed the Tamron achieves a slight advantage in sharpness at large aperture. But putting aperture aside, each of the 3 lenses have their own purposes, as the below collage illustrates. 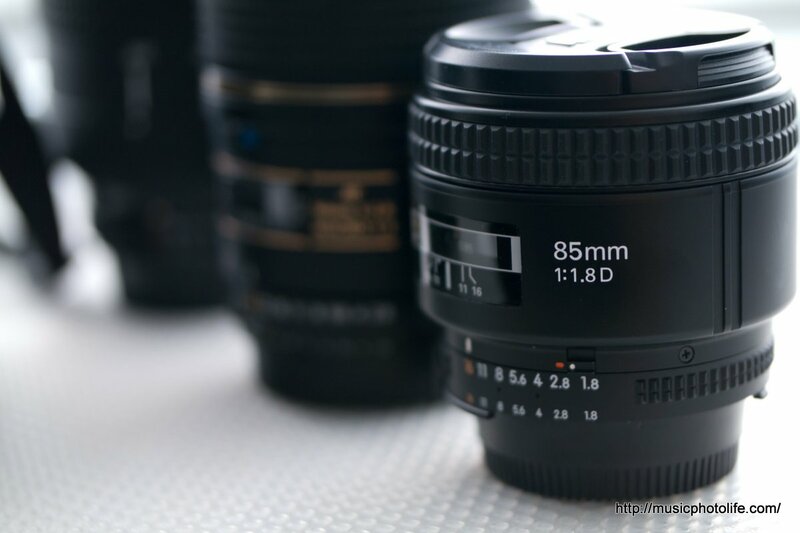 The closest focal distance for the 85mm is 85cm. The 80-200mm, although focuses minimally at 1.5m, can be zoomed in to achieve greater magnification. As for the 90mm MACRO, well, it’s meant for great magnifications, so no way I’m gonna get rid of that even though I had this new 85mm. I find the 85mm f1.8D very useful for low light portraiture photography. It’s better than the 90mm for non-macro shoots because of faster focus and larger aperture, though I think the 90mm is a tad sharper. The 85mm image quality is close to the 80-200mm, yet I can shoot at larger aperture. The 80-200mm is definitely more versatile to bring along for assignments, but the weight and size could be a huge deterrent. No brainer which lens I would bring out. I am planning a few shoots over the next few months, so I’ll see if this 85mm lens works out. If not, I can always sell it off, and that’s a benefit of buying sought-after lenses. Looking forward to your photos. I am using prime35mm f1.8 and my kids are running faster, need longer zoom.